The 10-minute quiz will consist of several questions that require a rapid response (1 or 2 words to 1 to 2 sentences). 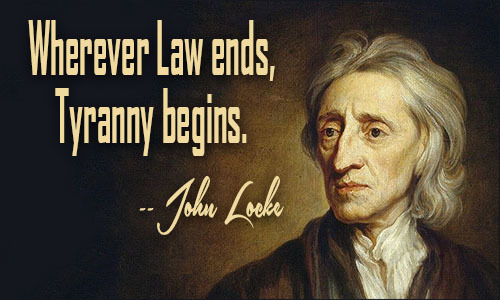 Who was John Locke and what were his three inalienable rights? Why did Locke believe a Compact was needed between ruler and the people? What was the purpose of a formal declaration of independence? Could you recognize (and identify) the influence of John Locke's philosophy on the Compact Theory within the Declaration of Independence? Don't forget about the slide presentations from class.